A make-up post? Now that’s a first! Although I own tons of make-up and have been using it on a daily base ever since I was 15, I never got to the point of sharing a make-up post with you guys. Now don’t expect some fancy youtube tutorial here, I admire the girls who do this, but it’s just not for me to be honest. What I do want to share with you, are the base products I use everyday for my natural make-up looks as I already got tons of questions about this! First, I have to tell you that I have quite a difficult skin. I was born with severe eczema (yes even on day 1!) and had some ups and downs ever since. The one year I had some spots on my elbows, the next even in my face and neck unfortunately which led to quite some puberty stress… Now, luckily, the last few years my skin seems to be more or less stabilised and I can say I’m skin allergy free! 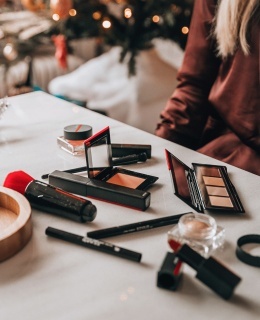 Of course you can imagine, after all the fuss I’ve been through in the past decades, I’m still quite careful when it comes to beauty products and make-up. About 2 years ago, I discovered make-up brand Jane Iredale thanks to my nephew who’s a talented MUA. 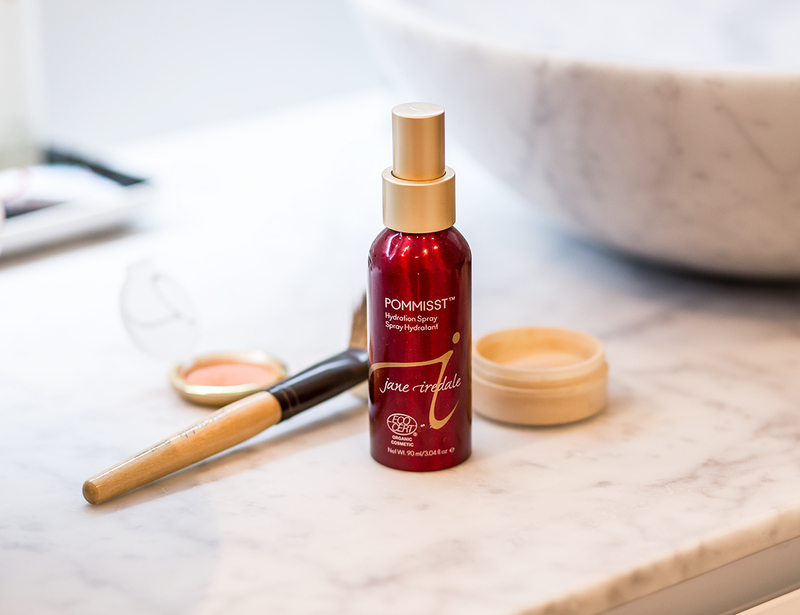 He learned me that Jane Iredale is the first make-up brand that actually has skin care benefits, even for people with skin disorders like acne, eczema etc. So today, I would like to take the opportunity to share with you the products I use on a daily base, for a healthy looking and natural make up look. As the name says it, this is not a heavy foundation, it’s a lightweight tinted moisturising cream which stays light and silky on my skin. For me, it’s just the coverage I need. I tend to apply it with a special brush, as I don’t like to get my hands all dirty when applying my make up. Now this product has been a real life saver for me! 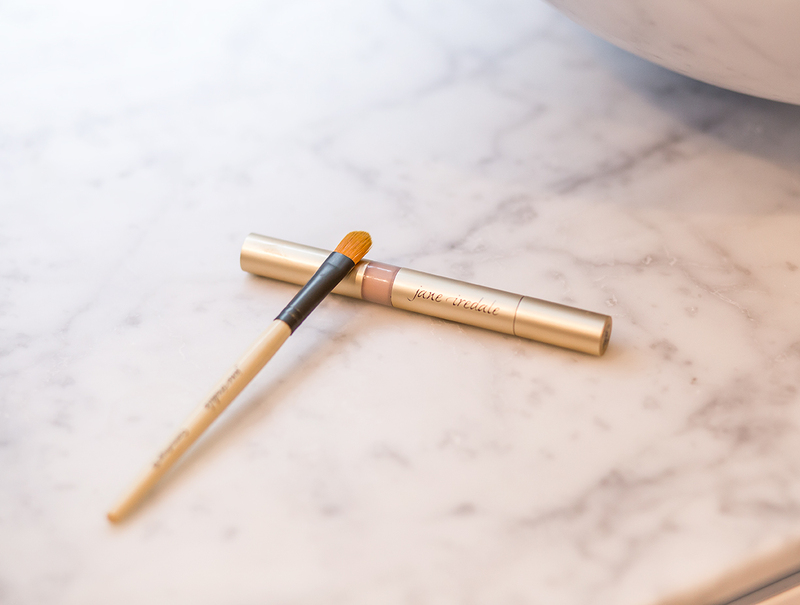 I apply it under my eyes, on my upper lip and even in between my eyebrows, just to highlight these particular parts of my face that will make me look more rested and radiant. 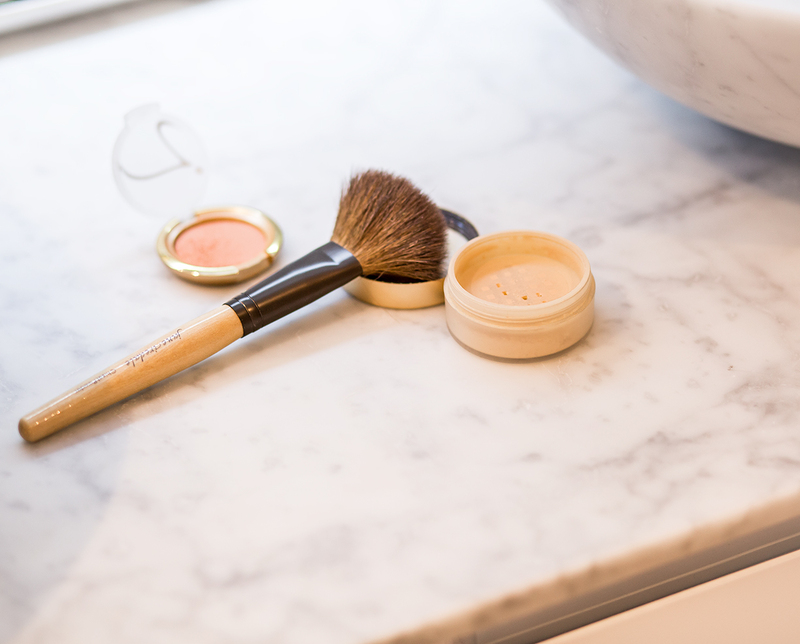 I apply it with a special light concealer brush, brushes that are too hard will just wipe the product back off. I apply this loose powder with a straight brush on my entire face. The powder will make my tinted cream last longer, it gives me some extra coverage and makes my face feel peachy soft. I use this natural shade of blush to give some more dimension to my face. I apply it right underneath my cheekbones. This spray is honestly my holy beauty grail! I spray it on my entire face when I’m finished with my make-up and I notice my make-up looks more fresh and stays longer. Whenever I want to freshen up my make-up after a long day of work I use it again. Now that was it for my basic make-up look products! Of course, after these essentials, I love to play around with bold lip colour or a smokey eye every now and then! Ik gebruik ook altijd Jane Iredale ! Ik gebruik de laatste tijd steeds meer Jane Iredale. De getinte foundation is ook erg goed.